This Website is owned and maintained by Anna Helps Garden Design of whom Anna Helps is the Data Controller. 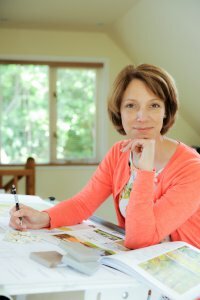 Anna Helps Garden Design is committed to ensuring that your privacy is protected. Should we ask you to provide certain information by which you can be identified when using this website, then you can be assured that it will only be used in accordance with this privacy statement and in line with the GDPR. Relevant information regarding any services Anna Helps Garden Design provide to you (the data subject) This will include details of your garden designs survey for example. Send useful and timely promotional and informative e mails in the interest of the data subject. This would include useful articles suitable to the data subjects’ interest in Anna Helps Garden Design. It may also include useful new services deemed important and specific to the data subject. We will not sell any data to a third party. This website is built using software by WordPress and some other third party software providers for plugins. The highly secure and password protected data collection area may be based in data centres outside of the EU. Under GDPR it is important we are clear about any data that may leave the EU. This data is secure and is not accessible to any third parties. Please see the Data policy provided by WordPress. Anna Helps Garden Design use three main legal basis’ for processing your data. Legitimate Interest – this is defined as a response to an enquiry that is in the interest of the data subject who requested a response. There may also be further contact if any important information regarding the service needs to be communicated. This can also include further offers or information that is in the interest of the data subject more than that of Anna Helps Garden Design or a follow up services in the interest of the data subject. Contract – this is defined as contact with the data subject that is necessary to fulfil the agreed work and contract eg – Visiting your home to survey the garden. Consent – This is consent freely given at the point of contact where Anna Helps Garden Design may send timely and rare relevant e mails to the data subject. These e mails will contain relevant information that is useful as well as occasional services in the interest of the data subject. All forms of data processing will be considered normal, expected and within the confines of the services Anna Helps Garden Design offer. For any complaints regarding data processing, how it is being held, what is being held and any related issues please contact Anna and she will endeavour to respond with 48 hours.